Step out of Manali with an excursion to Naggar Castle in Naggar--about 1h 10 min away. 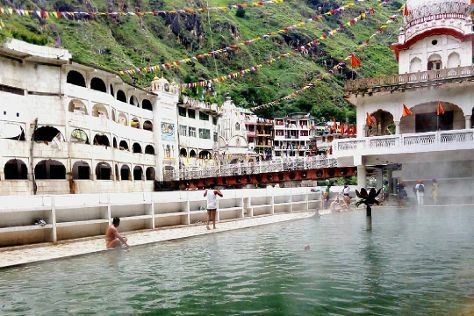 And it doesn't end there: relax and rejuvenate at some of the top local wellness centers, appreciate the views at Solang Valley, take in the natural beauty of Vashisht Baths, and take in the spiritual surroundings of Siyali Mahadev Temple. Plan my trip to Manali with suggested itineraries provided by Inspirock. Wrap up your sightseeing on the 1st (Fri) to allow time to travel back home.